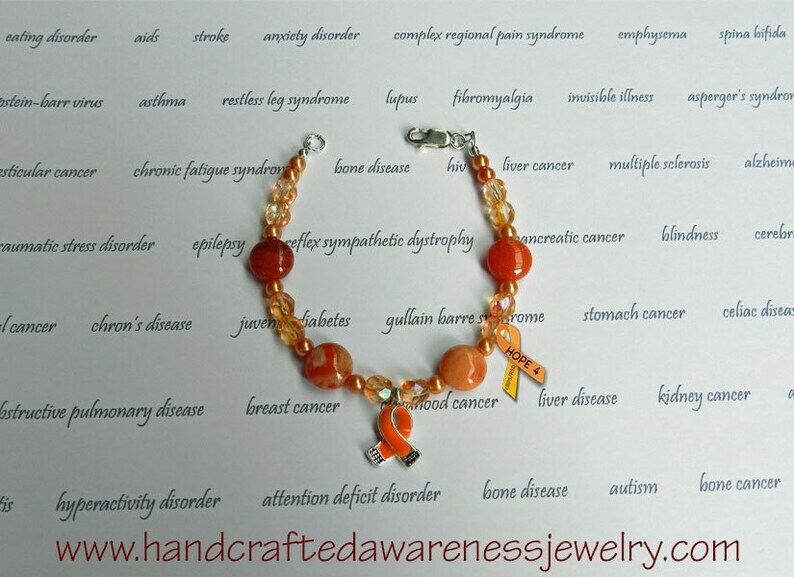 This 7" bracelet is designed using Botswana Agate, Czech and glass pearl beads along with an orange ribbon charm and a lobster claw closure. 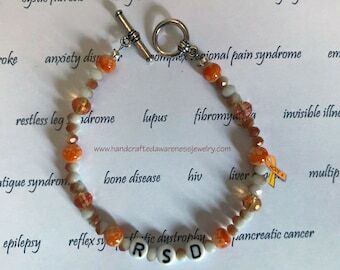 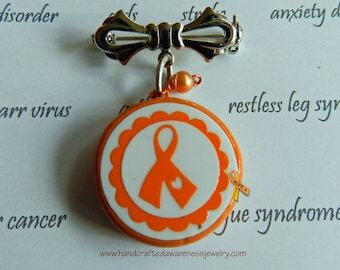 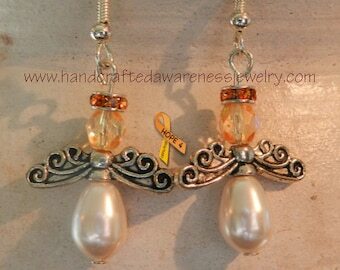 A great way to spread Orange Ribbon Awareness. 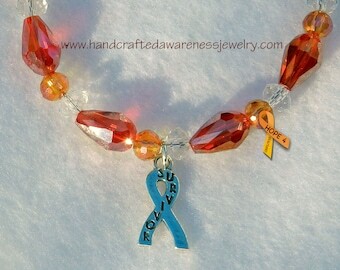 I will re-size this one of a kind bracelet to your length but will have an up-charge as noted at checkout.